Hey everyone! 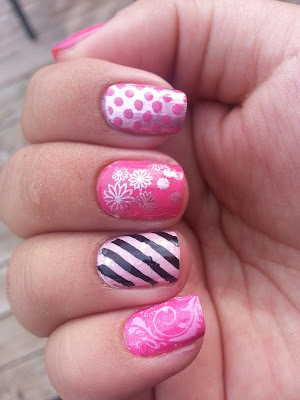 For today I have a girly mani. 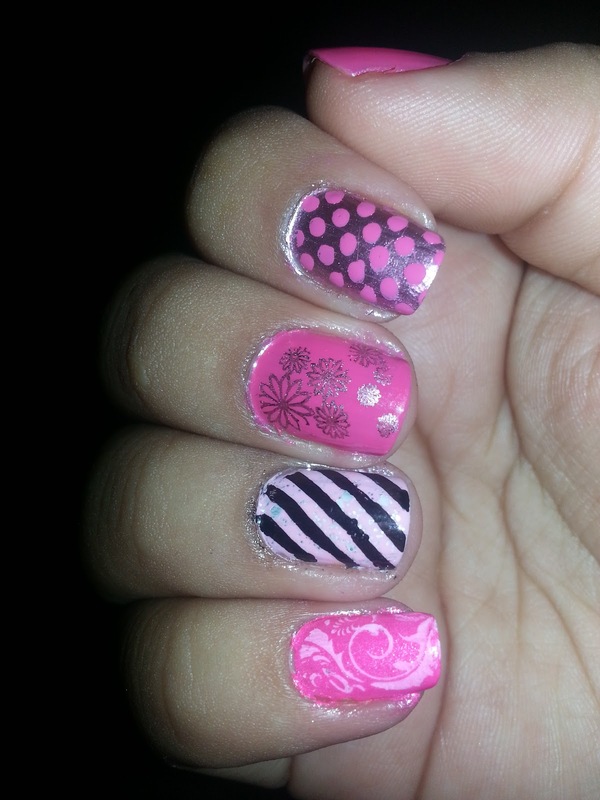 I had so many ideas for this one so you can either look at it as one complete mani or you can look at it like an idea for a girly mani on each finger. Enjoy! Very cute and girly indeed! OOOO So cute! love the colors! cute! the colors look good! Please visit my blog, too:) I'mm now, and I post nails and beauty products as well! Cute! 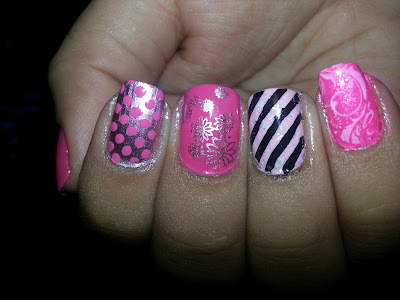 I really like the silver on pink stamped nail! Help! I need feedback & Announcements! Kiss Nail Dress Stickers & A Few Announcements!